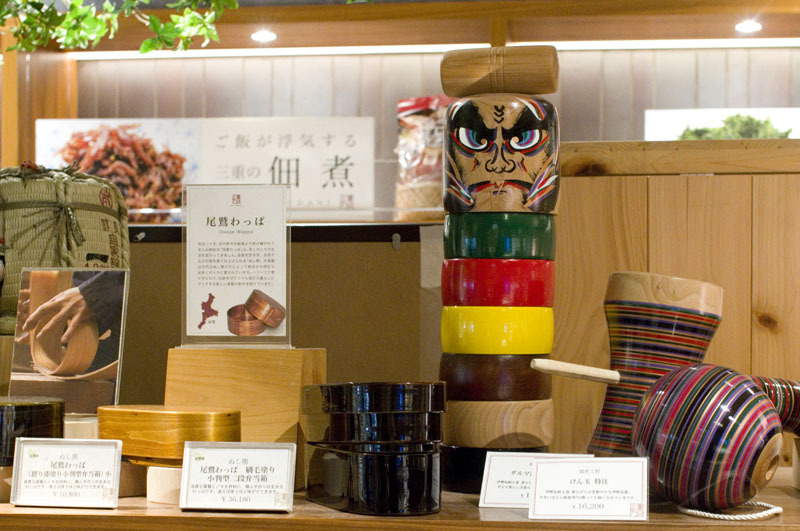 More than 1000 kinds of food, drink and local crafts from Mie Prefecture can be found at this well-stocked antenna shop. 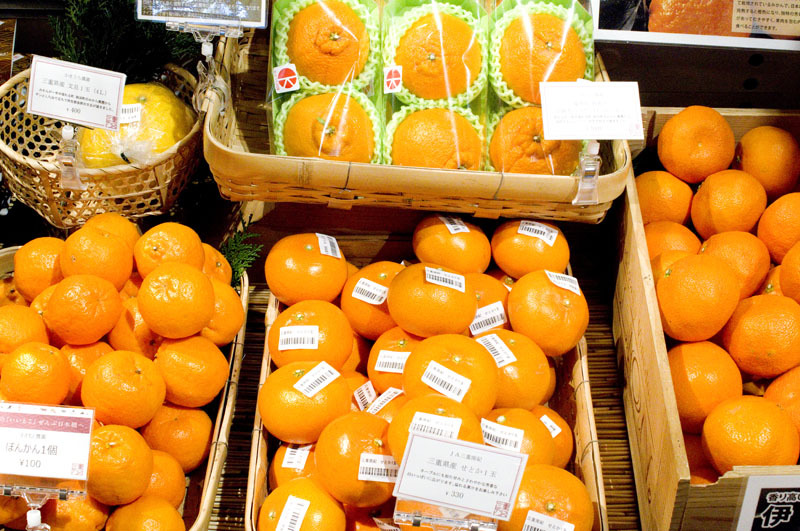 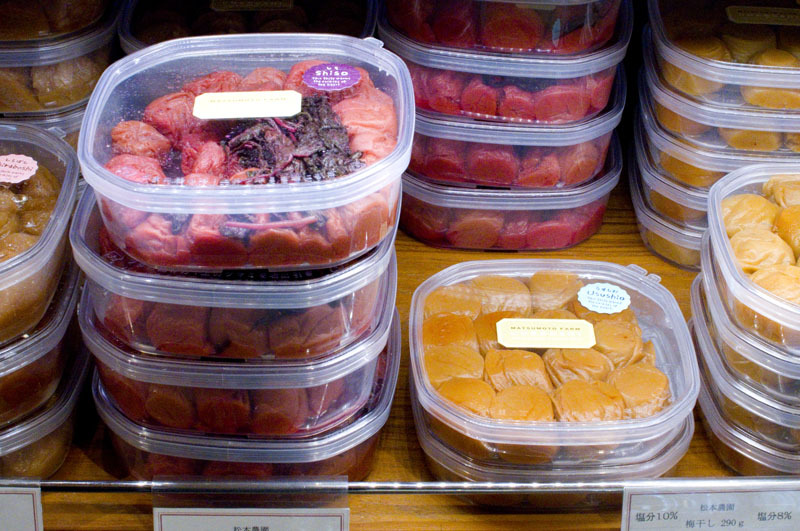 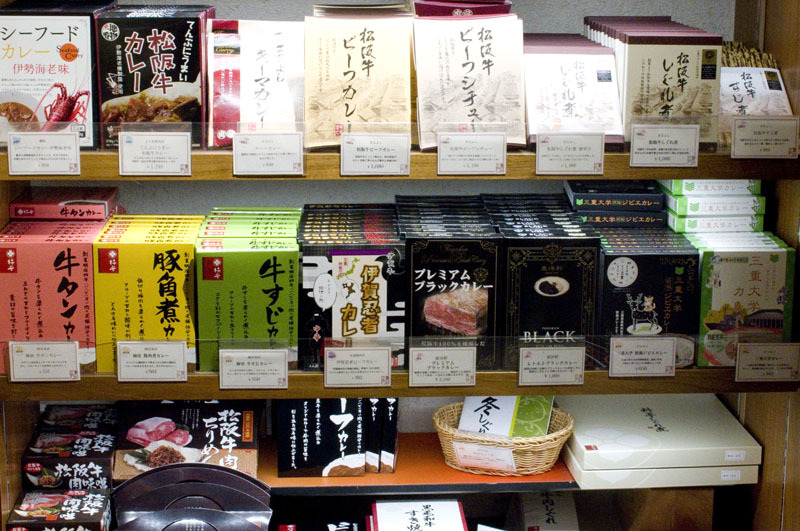 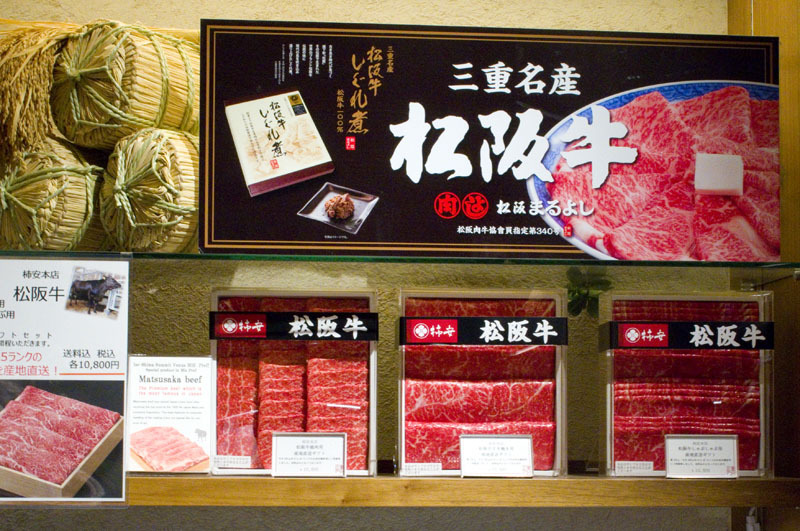 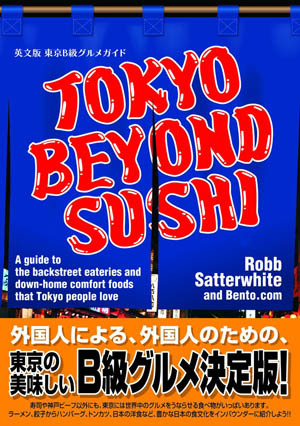 Local culinary delicacies include Matsusaka beef, ume plums, fresh-caught fish and oysters, tea, udon and soy sauce. 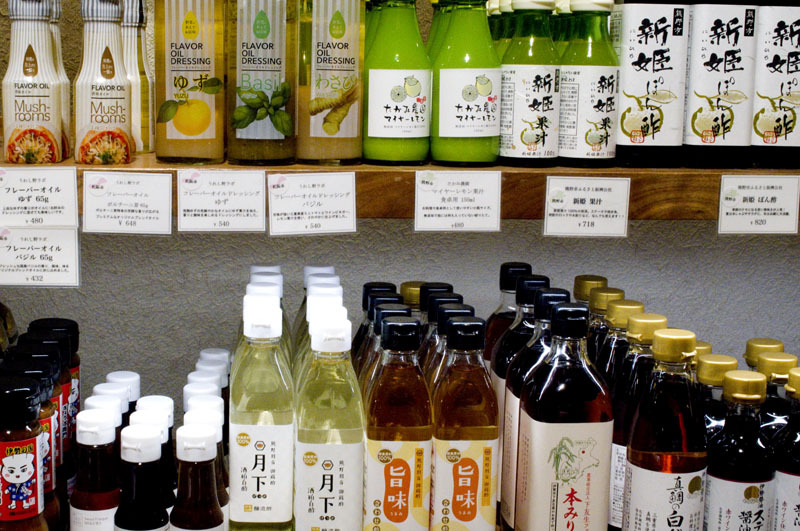 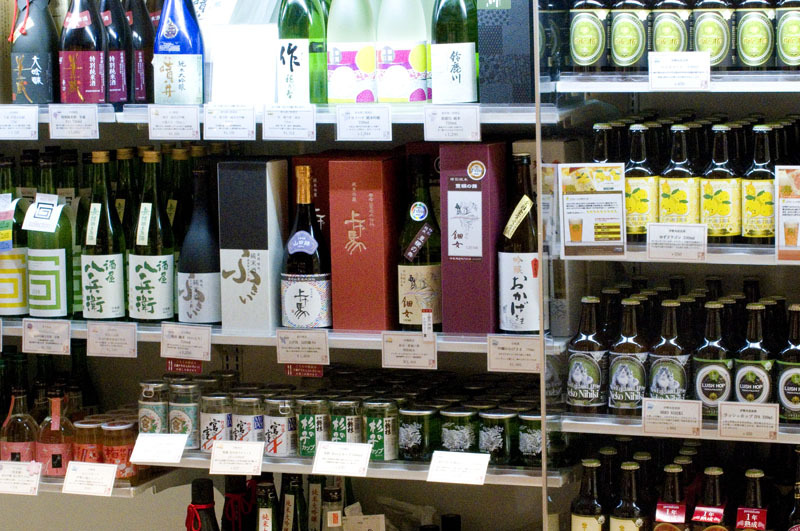 The drinks refrigerator stocks around twenty different sake, including small one-cup sizes, and more than a dozen beers by the bottle from the Ise Kadoya brewery (Y450-864 per bottle). 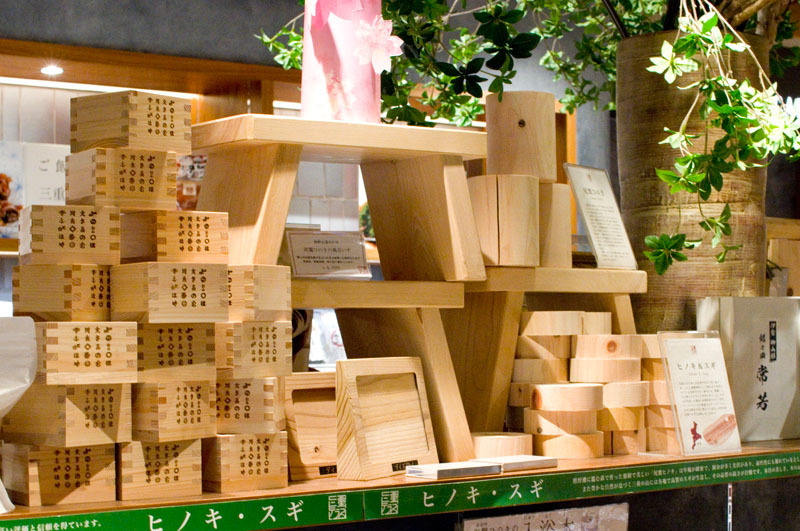 The handicrafts section features wooden sake cups and other crafts made from cypress and cedar wood, as well as pottery and stoneware. 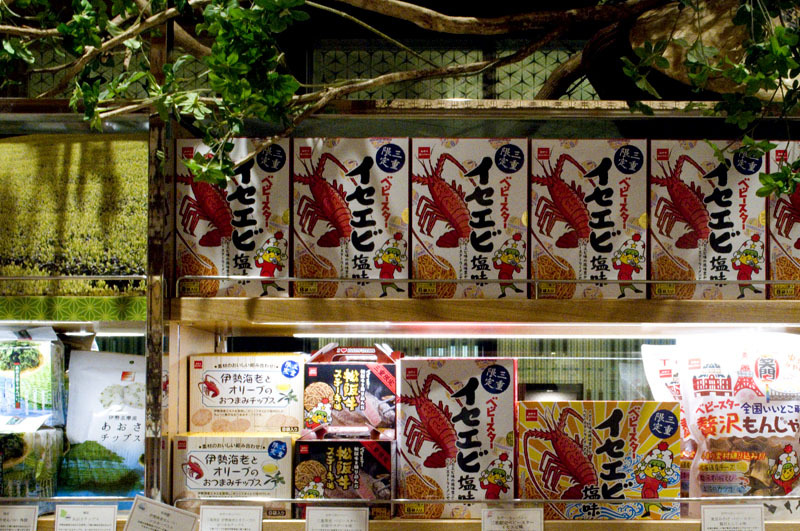 Next to the shop is a separate cafe-restaurant specializing in Mie cuisine (03-5542-1030). 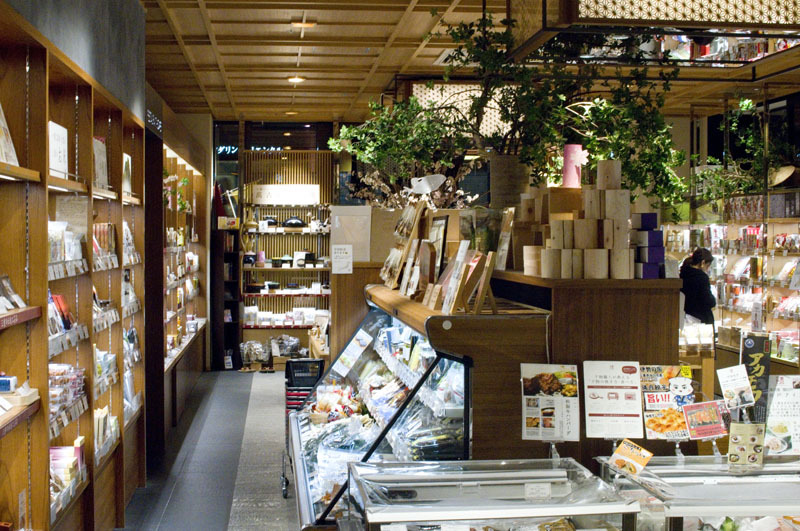 Chuo-ku, Nihonbashi Muromachi 2-4-1, Yuito Annex 1/2F.